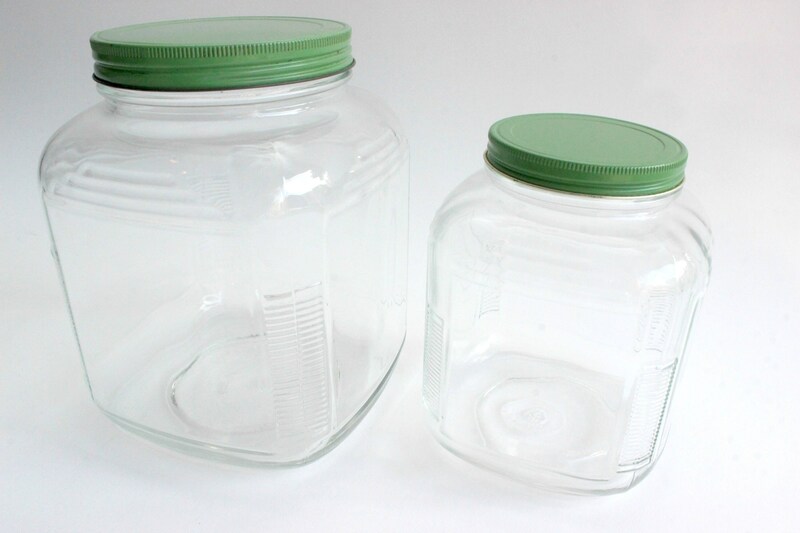 Set of 2 - Vintage glass kitchen canisters. 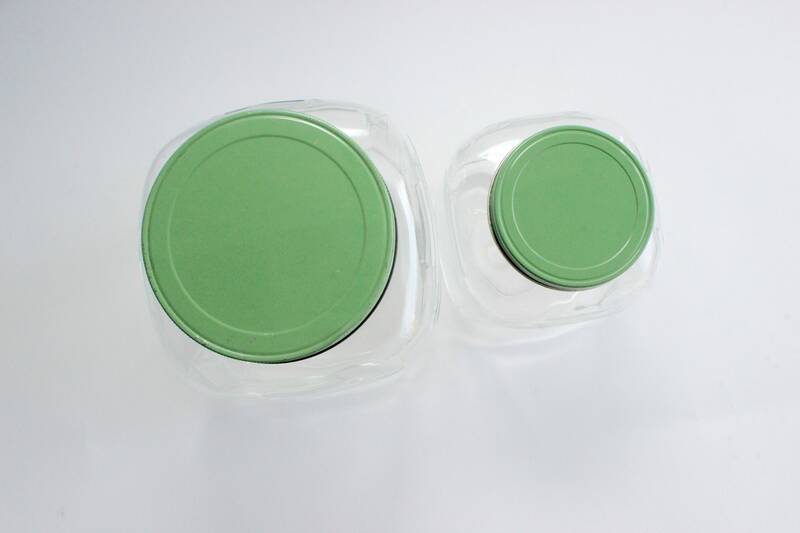 Mid century square shaped glass canisters with green metal screw on lids. Glass has a pressed design on the corners. Lids fit nicely. 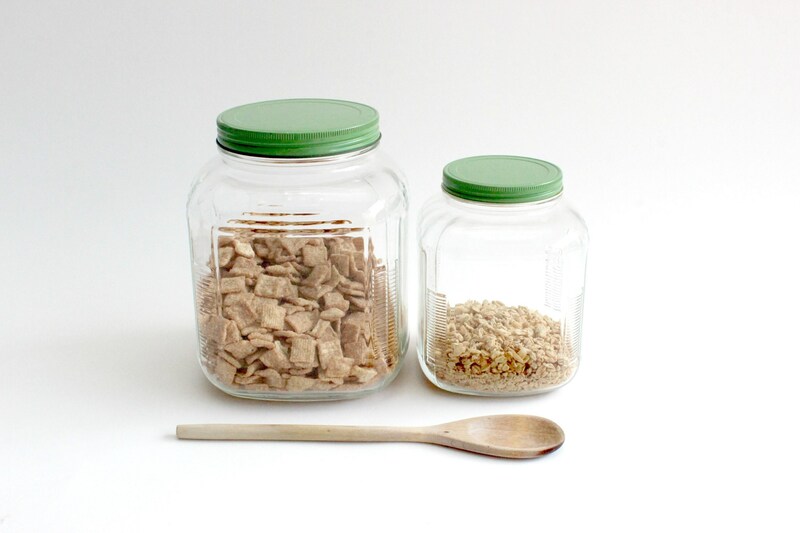 Perfect for storing cereal and granola! Good vintage/used condition. 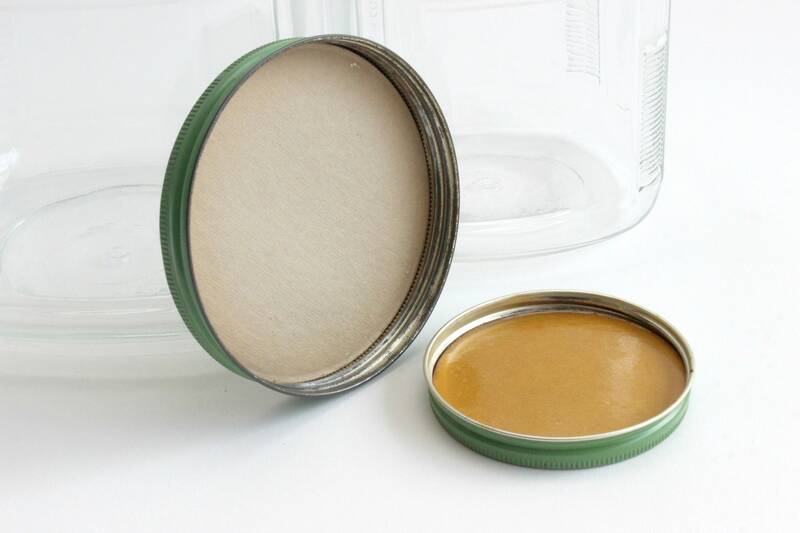 Some light wear and tear on the lids. 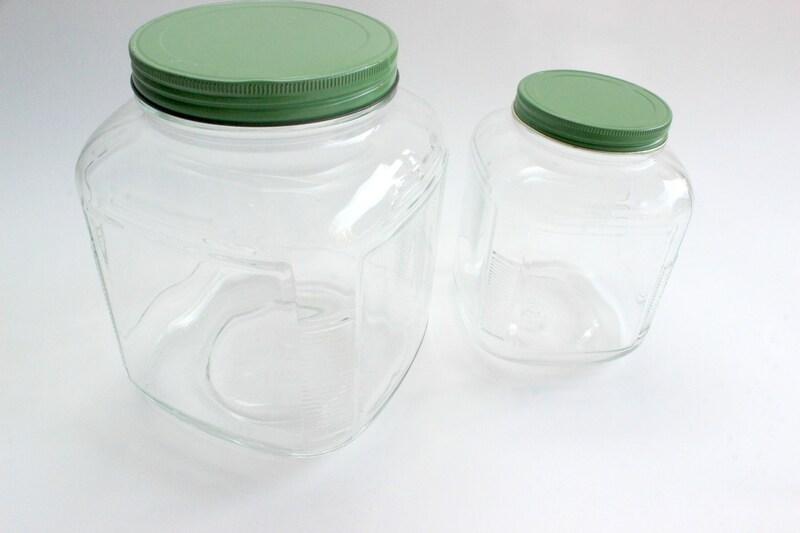 Larger canister measures 6 inches wide and 8.5 inches tall. 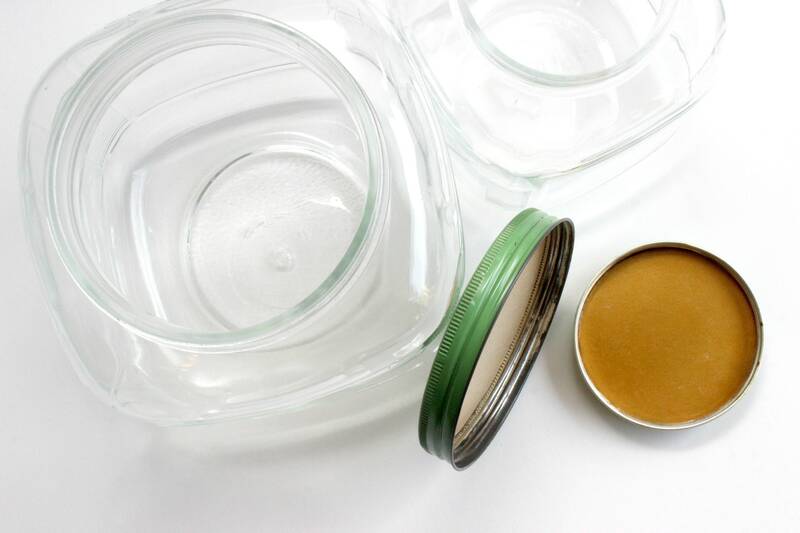 Smaller canister measures 5 inches wide and 6.5 inches tall.